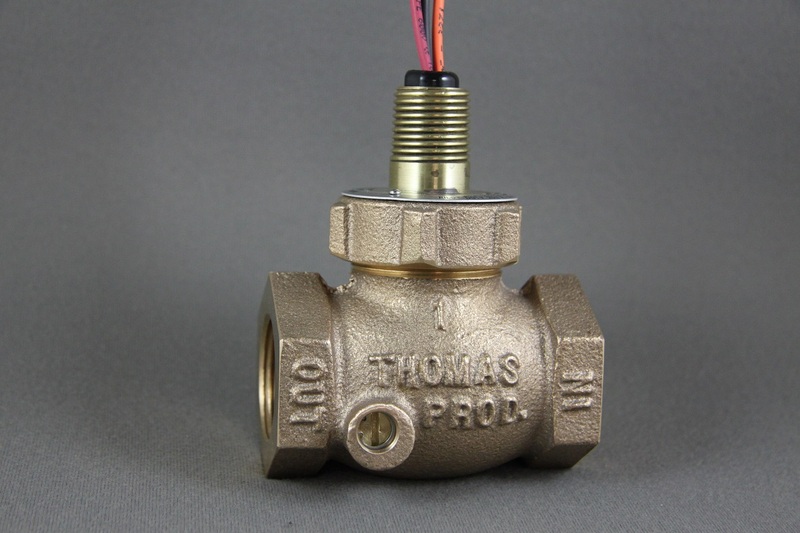 1200 Series Adjustable Liquid Flow Switch ⋆ Thomas Products Ltd. Description: This unit is an adjustable version of our model 1100, an Industrial Standard, if you need the same accuracy and ruggedness that the model 1100 offers but need a field adjustable set point, this is the model for you. 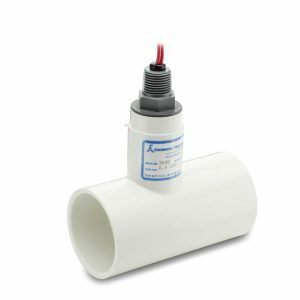 The switch in this unit is silicone potted in a factory replaceable capsule to permit a very high vibration resistance as well as keeping it repairable in the event of failure. This model has a true globe-shaped one-piece cast body that yields a lower pressure drop and minimizes turbulence while keeping the pressure capabilities very high. Operation: Liquid flows through the housing, with flows below the “set point” the liquid flows around the shuttle, as the flow rate increases the magnet-equipped shuttle starts to lift up compressing the spring until the flow rate reaches the set point in which case the magnet actuates a hermetically sealed reed switch inside the stem. Flows above the set point pass by the shuttle without issue holding the unit actuated until the flow rate begins to decrease where the spring begins to push the shuttle back down to resting position until the magnet extends far enough away from the switch causing it to de-actuate. 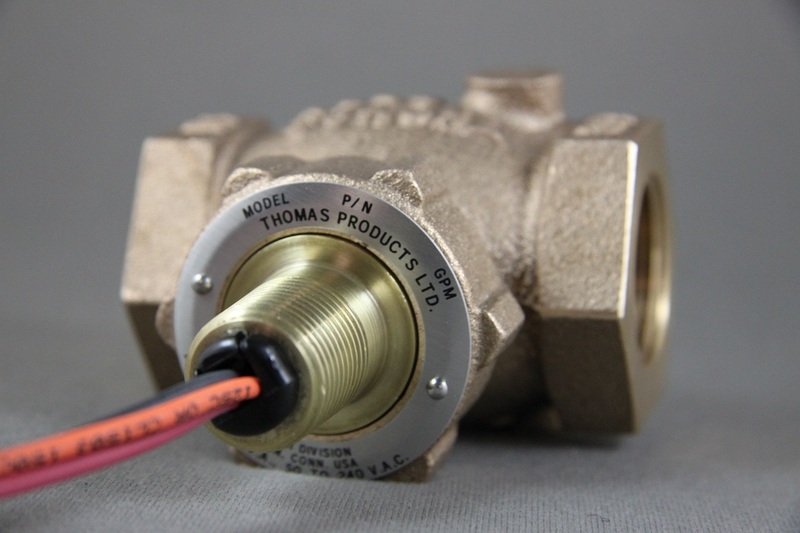 Flow rates below the set point do not affect the unit and do not cause it to actuate. Adjusting the vane permits an amount of substance to bypass the piston entirely, this effectively raises the set point. The vane spins around 360° however it’s operation is such, with the adjustment slot parallel to the inlet and outlet, the set point is highest. With the vane adjustment slot perpendicular to the inlet and outlet, the flow setpoint is lowest. 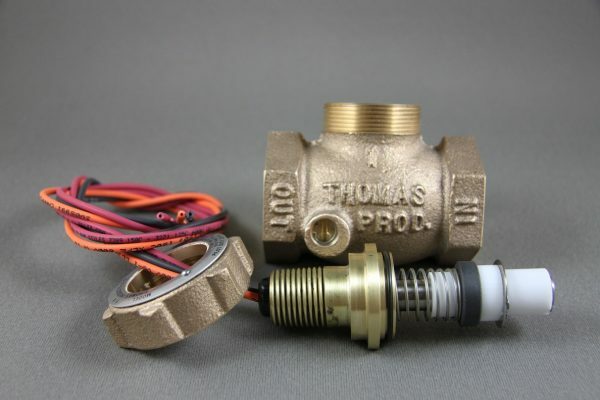 Common Applications: Some common applications where this unit can be seen are coolant systems, HVAC equipment, and pump & bearing protection devices. Strain reliefs are standard. 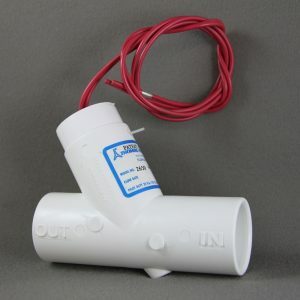 0ptional silicone potting avail. Consult factory. 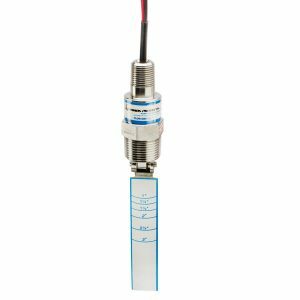 Also available: Leads in different lengths, cables, terminated ends, etc. Consult factory. High-temperature units available to 400oF, Consult factory. 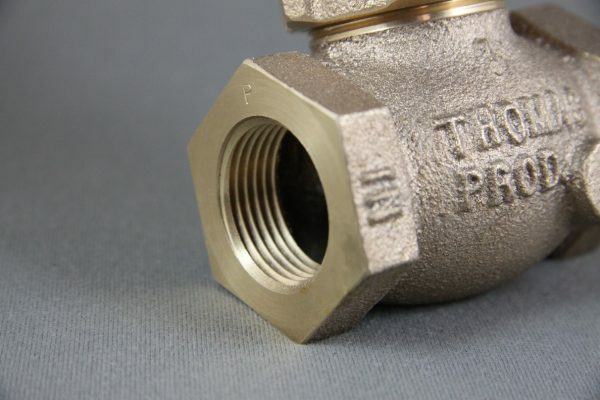 For smaller pipe sizes, install appropriate size bushings. Model 1200 is available in 316 SST. Consult factory.